Aqueon QuietFlow Replacement Filter Cartridges are dual-sided replaceable dense-floss cartridges that provide an even distribution of carbon. 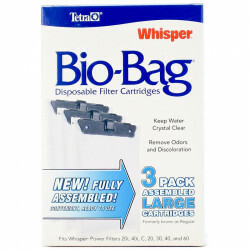 These filter cartridges contain over 25 percent more activated carbon than other leading brands. 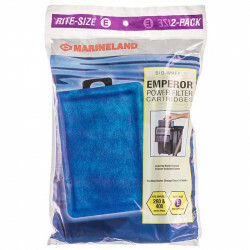 For use with Aqueon QuietFlow 20, 30, 50, 55 & 75 Power Filters. Replacement is quick and simple for minimal filter downtime. 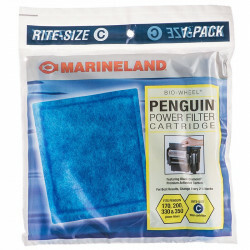 Cartridges should be replaced when water begins to enter the filter bypass and/or the cartridge becomes clogged. Cartridges should be changed every 4-6 weeks for optimal filtration. Aqueon filters are outstanding but they and their cartridges are pricy at pet shops and often hard to find. 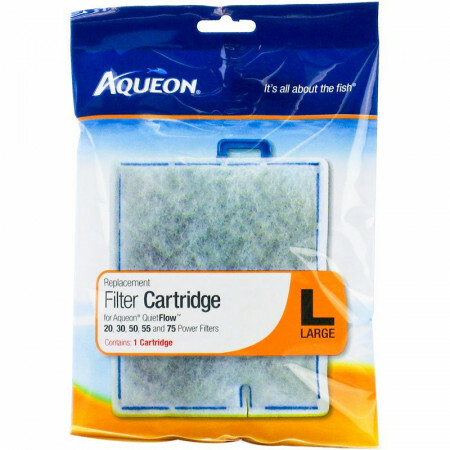 I was so happy to buy a bulk supply of cartridges at PetMountain for an amazing price, that I have now also bought a spare filter. Not sure how one can evaluate a filter - it either does the job or it doesn't. This filter did the job just fine as it was made for my brand filter.PetMountain did an excellent job in packaging and shipping this to me in a timely manner. I have found this is the best price for my replacement cartridges and they get to my home in a timely fashion. I would recommend Pet Mountain for all of your aquarium needs. Even with the horrible weather and bad roads, my shipment arrived earlier than expected. Everything was just what I ordered and I am very satisfied. I have been using these filters for 5 years now and you can't get a better one. You can't even put it in wrong because it tell's you which way is the front! Just slide it in and you're done. I don't even rinse mine first! So if you're looking for a easy good filter, here it is. No problems, they do their job well. Change weekly depending on tank/fish.